Lansdown, R.D. 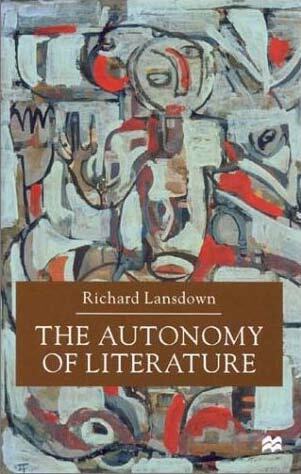 (2001) The Autonomy of Literature. Palgrave Macmillan, Gordonsville, VA, USA. In the aftermath of the theory wars, the imaginative, formal, and moral features of literature have been substantially marginalized, downgraded, and neglected. Yet for many readers such elements will always be central to the experience of reading, just as for writers they are central to the experience of writing. 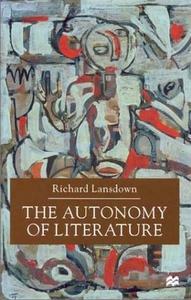 This provocative study argues that literature has an abundant life of its own, and reconsiders that life in the contexts provided by three influential contemporary groups of critics: some North American philosophers; some psychoanalysts; and some theorists of history.